Schools that use digital signage to display announcements, activities and other message are more successful due to the instant distribution of information to students, faculty, and visitors. Schools and Universities are using Digital Signage to keep their students and faculty up-to-date with current information and scheduled activities. Information can be scheduled for display in advance or updated within 60 minutes of an event change. 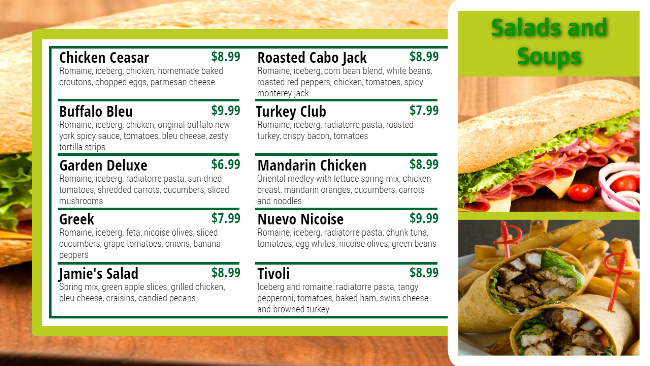 Cafeteria Menu Boards have a unique requirement that requires them to display different set menus for each day of the week. 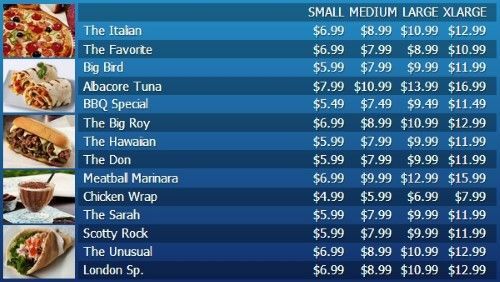 doPublicity makes that easy as the menu can be pre-programmed and automatically displayed for each day of the week. doPublicity Templates that focus on Events / Announcements and Digital Menu Boards are part of the package and eliminates the need for administrators to deal with graphic designers and get the job done within minutes. Schools are one of the institutions that continuously make new announcements and updates. In such an environment, reporting and communication are essential for smooth and efficient operation. This is why so much emphasis has always been placed on the bulletin boards and teacher announcements. These have always been used to make students aware of things happening around campus. The problem with basic announcement boards is that they involve time and energy to manage. There needs to be a more convenient, modernized and reliable tool used to share information on school campuses and digital signs are starting to become universal and affordable. Not only are they some of the best mediums overall for this purpose, but they are also perfect for young people who are the usual occupants of schools and frequently the target audience for the messages shared on digital signage platforms. Engaging messages are more appealing and will stick with the target audience better, especially when you are dealing with a younger population. When you have the digital signs for an extended period, the short attention span of the adolescent mind might start to zone them out, especially when the messages all look and feel the same. The signs will then begin to be overlooked, and therefore you have a case where the primary purpose is lost. You need to be able to keep the students engaged and interested. Each time you have something important to share, think of a creative way that you can present it on the boards. After all, the nature of these boards facilitates creativity. Many schools use customizable templates that are easy to setup and display. All they need to do is edit some text and add pictures to create a new look and engaging content. Do not have a dormant or static signage board. It gives the idea that the digital signage content and the messages are unimportant and so they will not be taken seriously. When you have one message that loops on for weeks on end, it will eventually become tiresome to the viewer. Try to add variety to the message board and try to update it very often so that the students will expect that they need to look out for something new. The students should always be curious as to what is displayed on the board and even if it is not an essential message or announcement, ensure that you upload something visual to keep them engaged. Something general that is informative or entertaining will do. To keep the message board updated, this job is best assigned to a specific member of the staff or even a student who will be responsible for planning and operating the boards whether or not there are significant messages that are needed to be shared at any moment. The boards need to be a vibrant and an active part of the school campus or else they will become invisible. Install them in the most appropriate areas in the school where you know it is likely to be seen by students or whoever the target is. For example, the cafeteria is an excellent place to share information to students since they might want to watch it while they eat or while they wait in line. It also has the potential of being seen by a large percentage of the school population since on any given day most students will use the cafeteria. Furthermore, the cafeteria is also used when they are on a break, and so it is the perfect time to engage them since they have time and are more relaxed. As it relates to targeting parents, it is always good to put one at the entrance of the school for general information that you would want the parents to be able to see. If parents are coming in to drop off or pick up their child, then they will be able to spot a quick important message on the board. An idea for the college campus is to place these signs in the study areas, the hallways and anywhere else that students frequent on a daily and weekly basis. 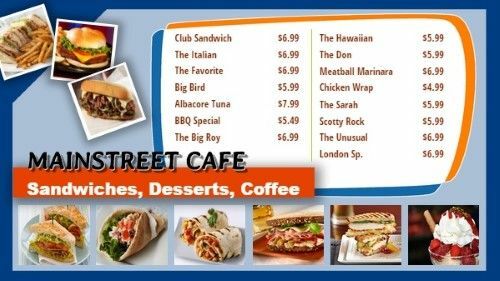 Wherever you find that you will get the most engagement, that is where you should locate the signage screen. Lengthy messages are not appropriate to use with these boards when making announcements. In fact, it is understood that long notes are not suited for any mediums at all to share announcements. With all methods of sharing quick information, there is an understanding that the more that you can share in the shortest space of time is the more effective it is. Especially when using words, make sure that you keep the messages short and spicy because it might turn someone away from reading if there is too much information. Make it easy for a person passing by to catch the news quickly and get the gist of what it is saying. Also, use pictures, as they say, a lot and denote precisely what the display is trying to announce. There will be times, however, when you cannot help but having a long digital message because of the nature of the content. If you have something lengthy to share, then you should think about the location of the sign and share it at a place where you would expect it to be suitable for persons to read it. For example, anywhere students are usually relaxed and are sitting, will be an excellent place to do this. However, as a general rule, if it is something that you want to use to inspire a response, keep it short and to the point. Be particular about the audience that you are targeting with your messages. When you are dealing with students, they like creativity because they have short attention spans and are thrill seekers. Growing up in the world of social media, students are used to quick memes and funny clips. If you want to advertise an occasion, then, it is good to get creative and make it memorable. It would be good to have students themselves be in charge of creating these images to promote an event that you want to make a success. Students are more in tune with what their peers will be entertained by, so collaborate with the most creative set and have them take care of the project. When you are looking to reach the parents or the staff, then you can think about using something less playful but still captivating nonetheless, so that it will grab their attention. Parents especially, approach school matters from a more serious stance. They are more concerned with their child’s well-being and performance, so they are more likely to prefer direct information and feedback. When parents enter the campus, they frequent specific areas that are relevant to the information that they need. For example, they are typically sitting in the administrative area preparing to speak to a particular staff member. This area is perfect for presenting digital information that you would want the parents to learn about. Make use of this space to show details that are commonly asked by parents so that they can be on the same page with the institution to improve their child/children’s experience there. The administration should endeavor to improve the lives of students, and they can do this with the use of digital signs. These tips will suggest ways that you can use digital signage to make life a bit simpler and better for students and even other visitors on the campus. Large campuses can be very confusing, especially on college campuses where you will have more than one faculty, residences, and several other facilities. Wayfinding maps are a must have to improve the efficiency of commute on the campus because people will need to find their way around as quickly as possible. If visitors are unable to locate the area where they need to be it will cause unnecessary anguish and make their visit painful. If you have a large campus area, a digital signage based directions map is the most suitable tool to provide people with the information that they need. Digital TV screen maps are popular assets with large institutions as they are more comprehensive and more accessible to read than the typical location map. The school year is planned out even before it begins to ensure the success of the institution's operations. Students usually have to get memos or reminders when specific events are coming up so that they do not miss out on the events throughout the school year. However, this method is not necessarily the most efficient. How about having an accessible way to share the school activities with the students to help keep them in the loop? Keeping important events at the forefront of your mind such as examination periods can help to keep students on their toes and prepare better. Use them to generate hype around some of the most exciting upcoming eventsWhen exciting events are coming up there needs to be sufficient buzz around them to get enough support. Generating buzz around the event also helps with creating an energetic atmosphere because the patrons will have already been excited to be there by the time the event comes around. Digital signs are some of the best mediums to use for this purpose because they facilitate different types of creative media. You can use them to create amazing promotional videos and display catchy slogans associated with the upcoming event. Tips are always valuable to the student population. Students are experiencing a developmental phase of their life when they are looking to get an education. Throughout this process, many other things will help them apart from what happens in the classroom. Success is not only about doing your work, but there are also different attitudes and behaviors that need to be displayed to be a healthy and happy human being that is doing well at that which he or she sets out to do. Where better to give students these tips than at school and what better way to do it than with digital signage TV screens. This can be a fun process because you can generate creative ways to portray these life lessons to students so that they will grasp it and apply it to their lives. Recognition is sometimes a good tactic to encourage students to do their best. Providing this as an incentive usually improves the confidence and esteem of hard-working students and influences others to follow suit. Digital signs are visible and accessible to the student body, and so it is an excellent way to share the success of students with their peers. With these tools, students can have their image all over the screen introducing them to other students and allowing them to honestly feel like they are getting the accolades that they deserve. This will undoubtedly improve and maintain the performance of students within the institution. Schools do very well with these tools; they can be seen as one of the institutions that need these signs the most. Digital signage will help the student body and the background operations within the organizations. Considering this, all schools need to get on board with the modern day initiative and start making use of this valuable resource. 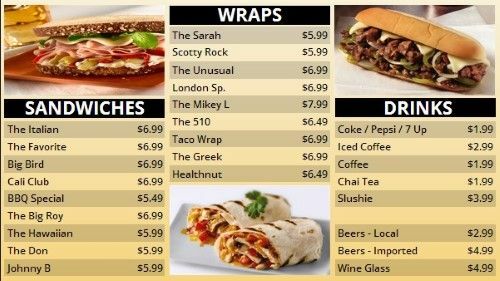 doPublicity Digital Menu Boards Solutions are available as a bundle that includes Media Player, Software License and Over 1,000 ready to use Menu Board Templates, for displaying on Landscape (Horizontal) or Portrait (Vertical) TV or Monitor.